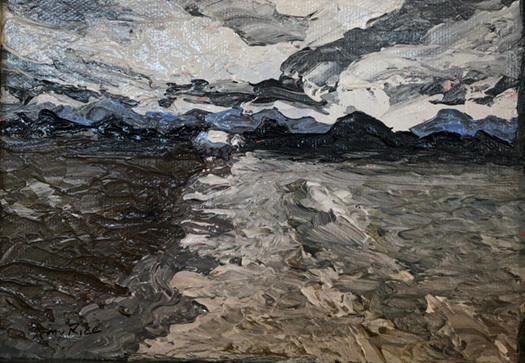 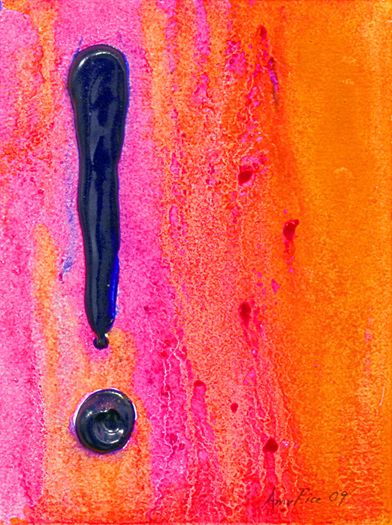 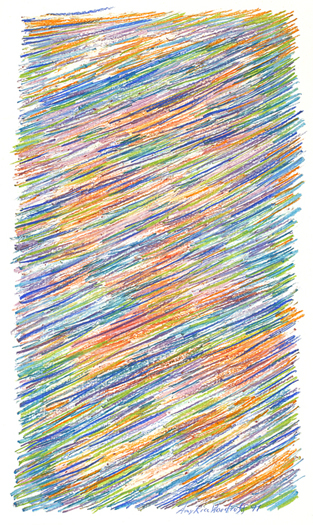 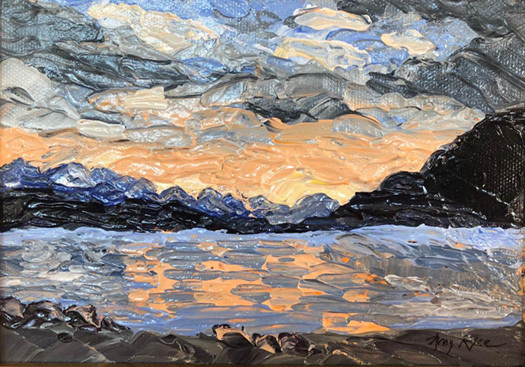 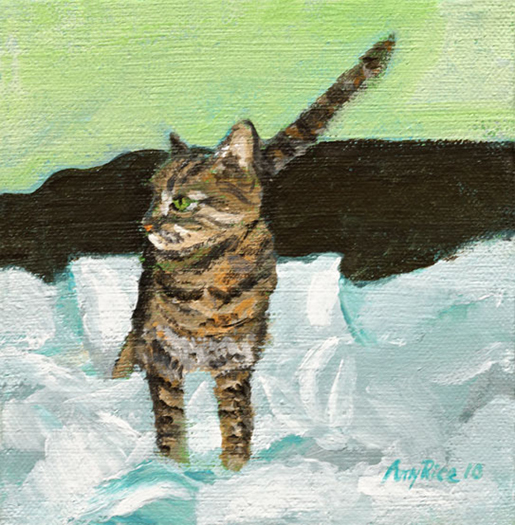 Self-taught artist Amy Rice has a passion to explore and experiment. 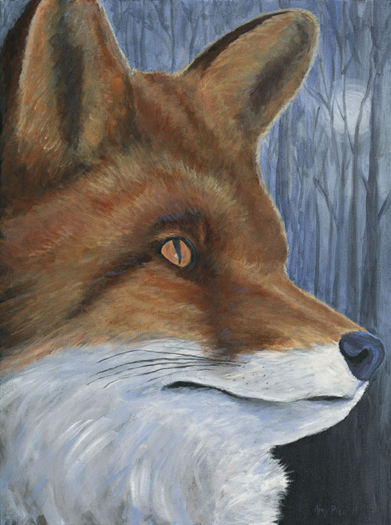 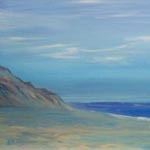 Her inspiration comes from her surroundings, emotions and imagination. 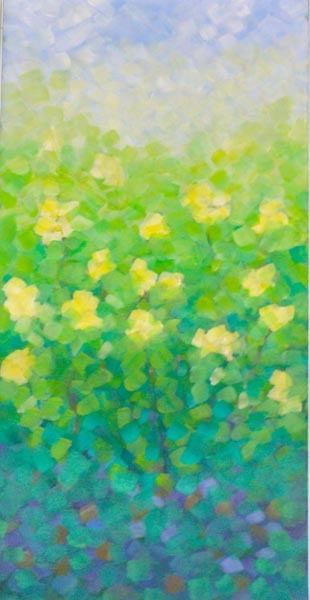 Her free spirit and love for spontaneity and change results in her deeply individual style. 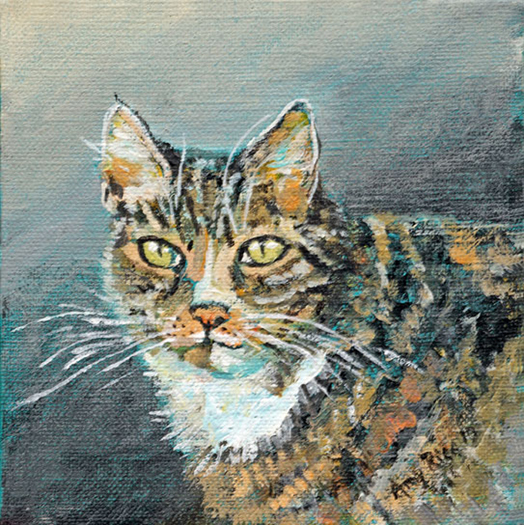 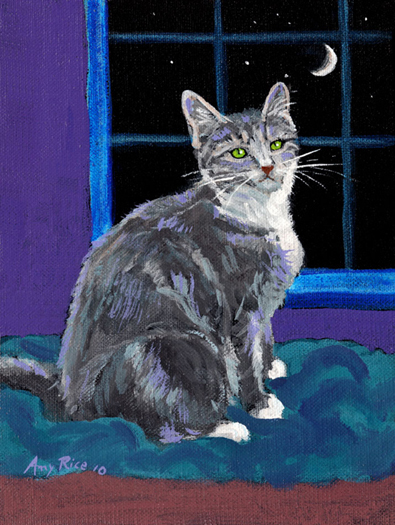 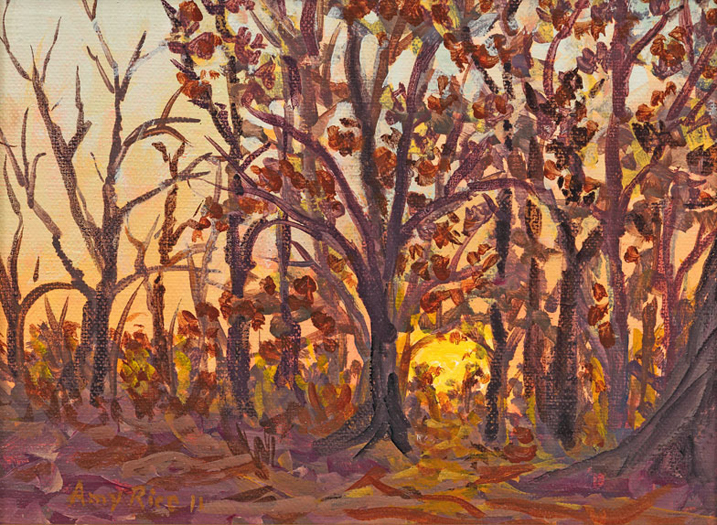 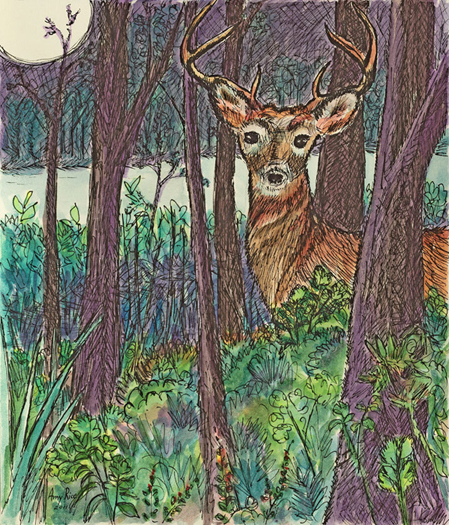 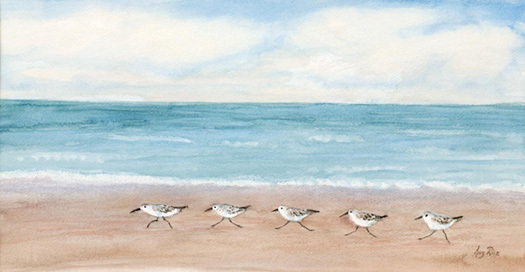 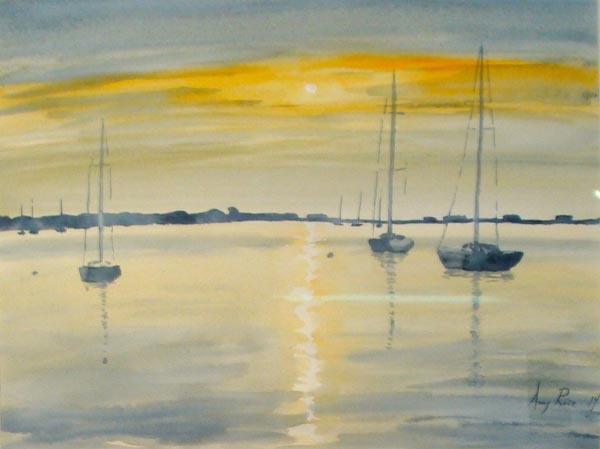 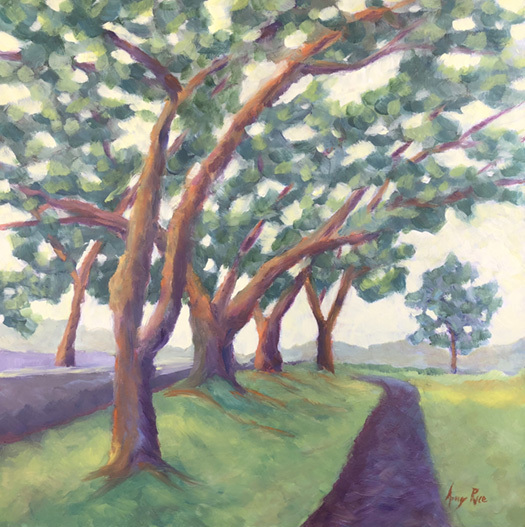 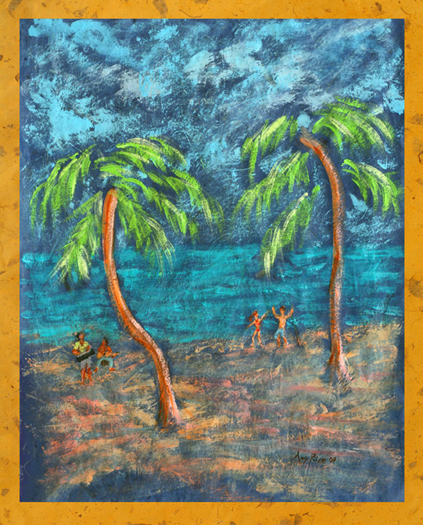 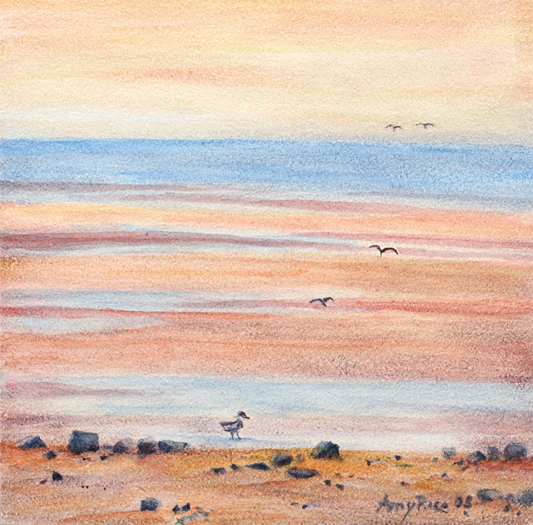 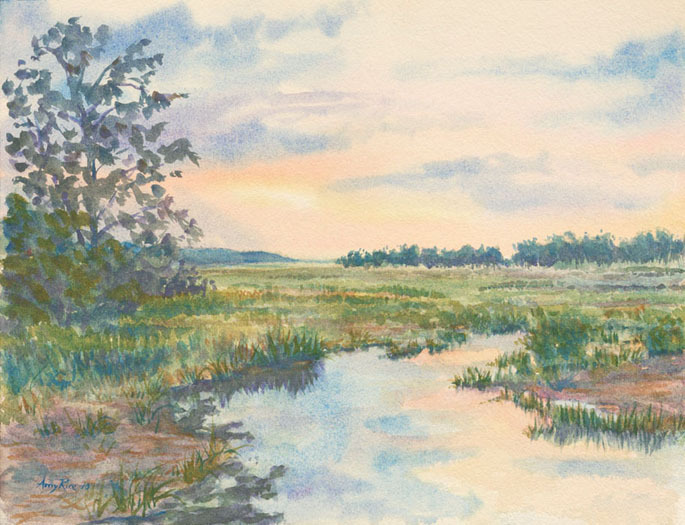 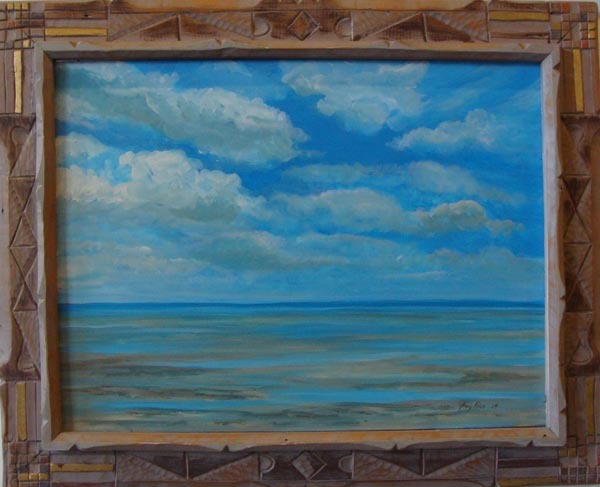 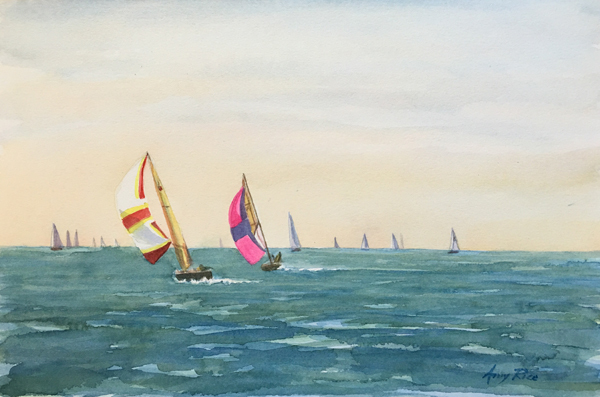 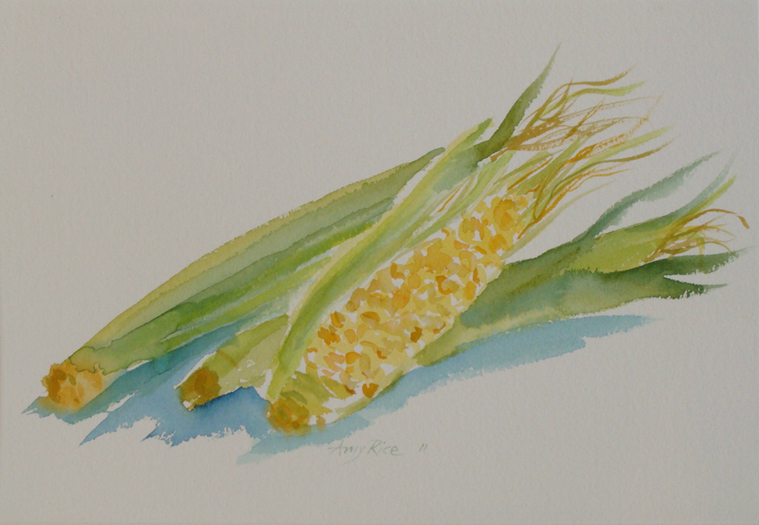 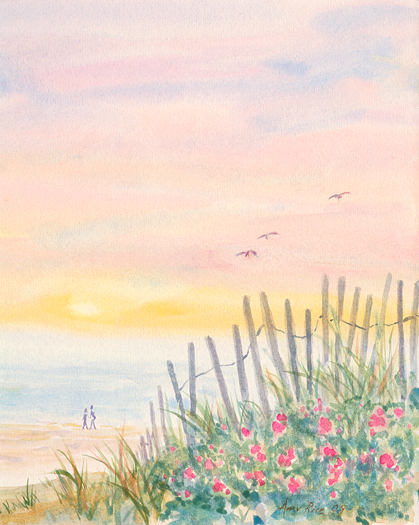 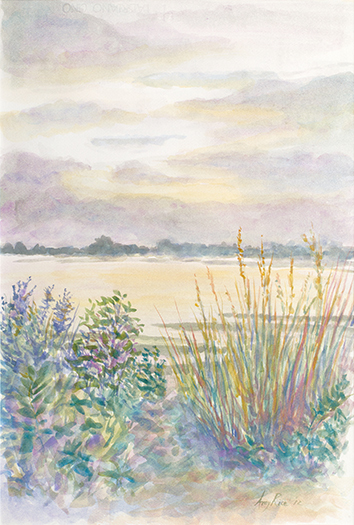 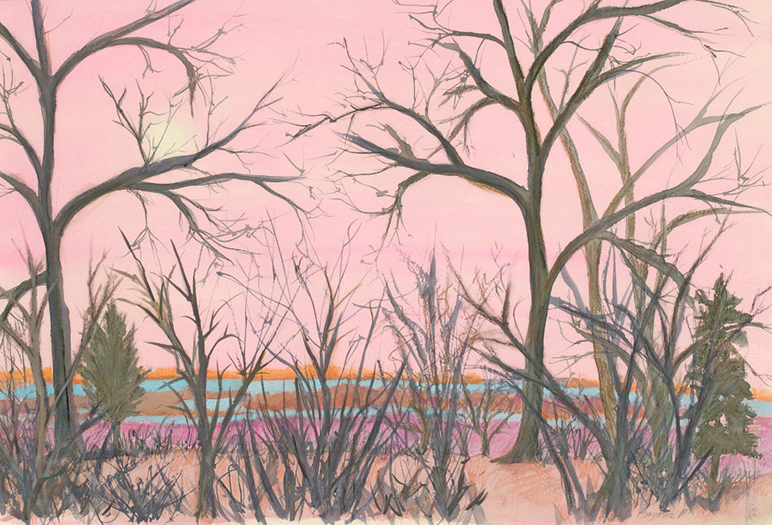 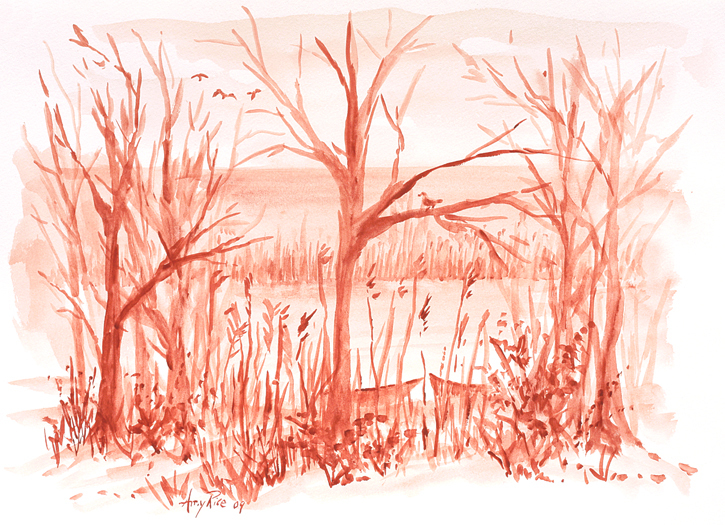 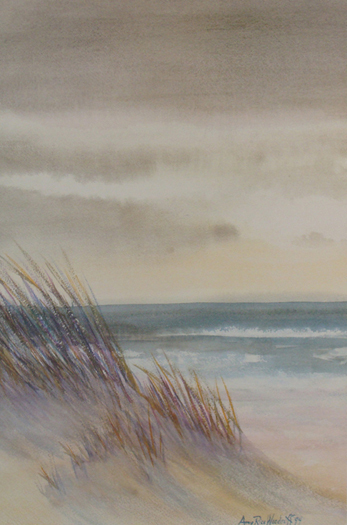 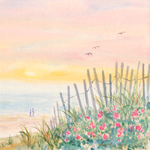 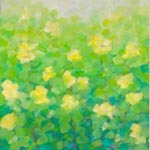 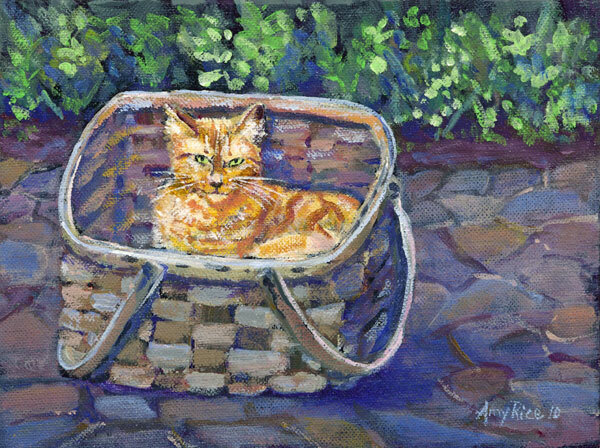 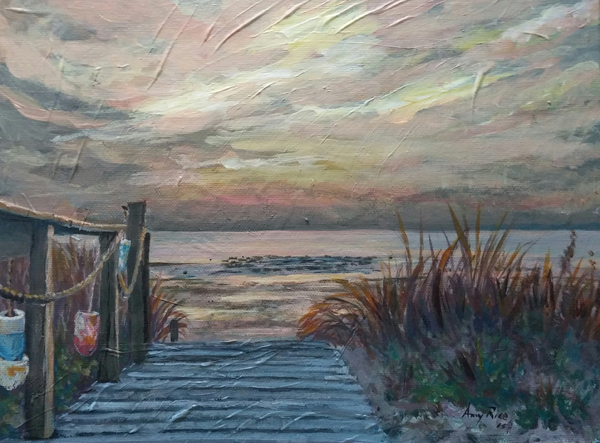 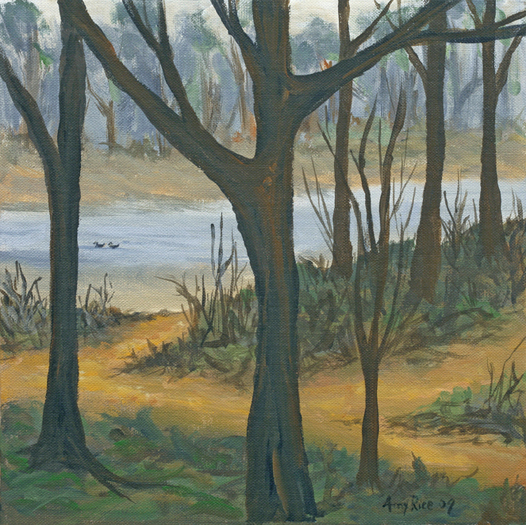 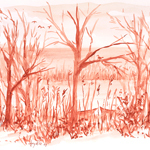 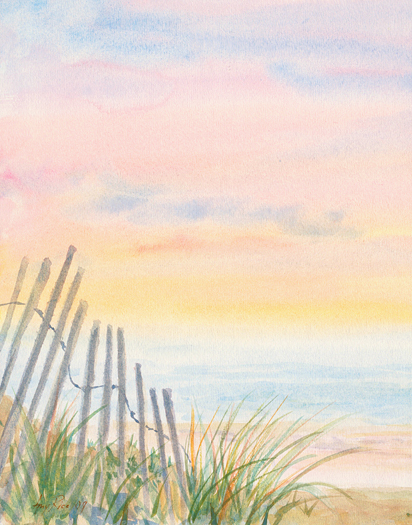 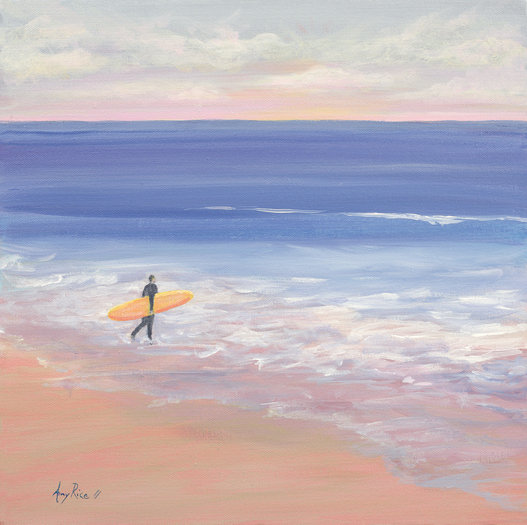 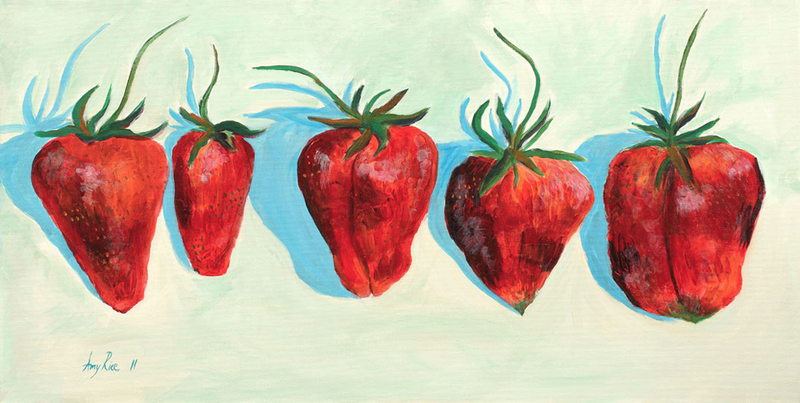 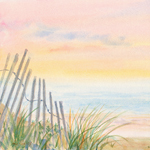 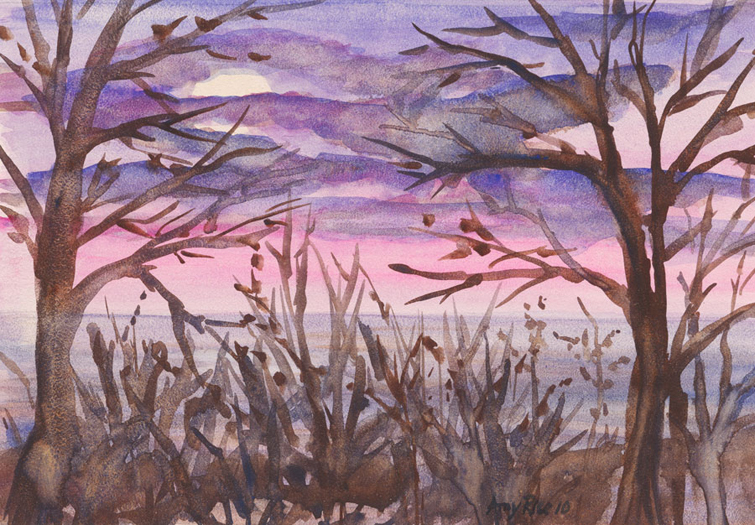 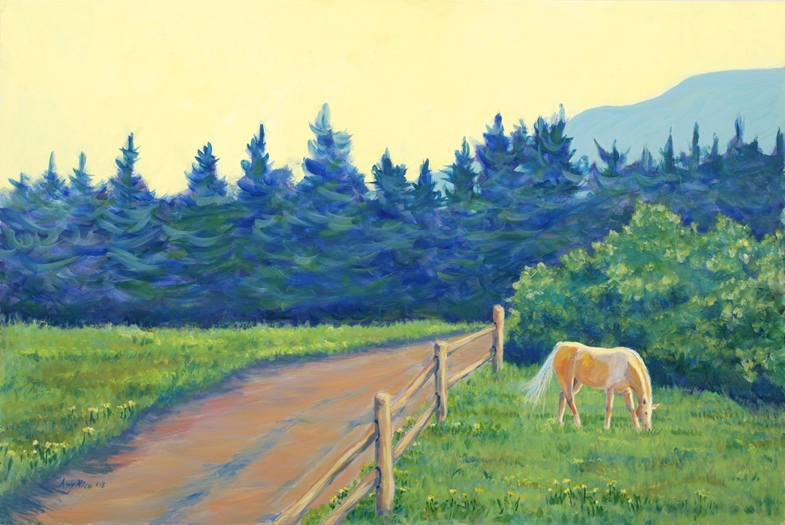 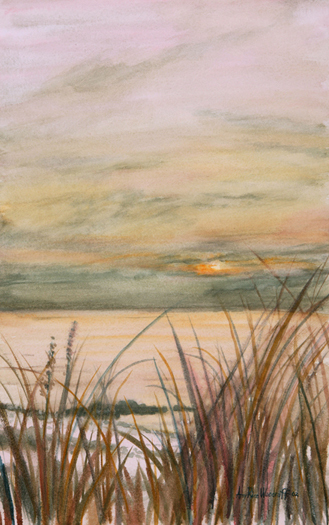 A versatile artist, Amy uses a variety of mediums, her favorites being watercolor and acrylic. 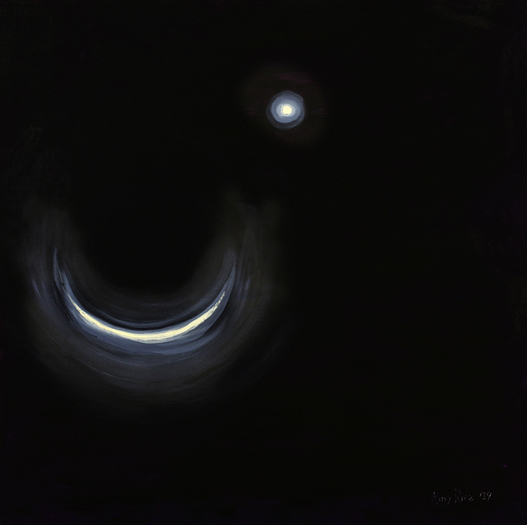 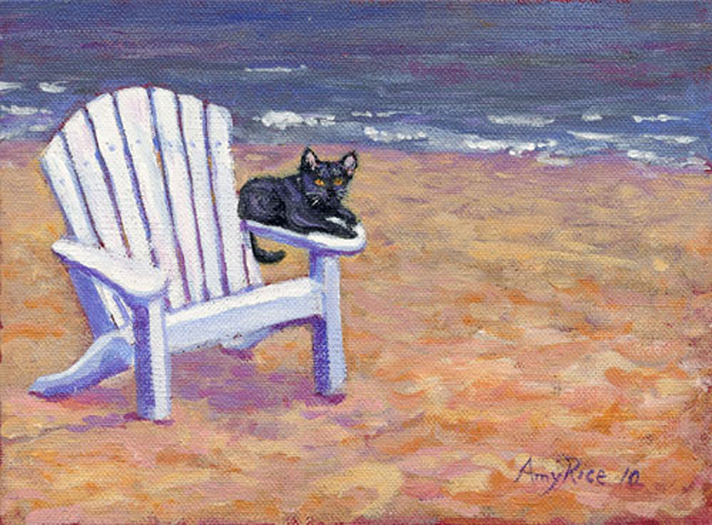 Amy’s museum quality original paintings and fine art prints are collected extensively throughout the United States and Europe. 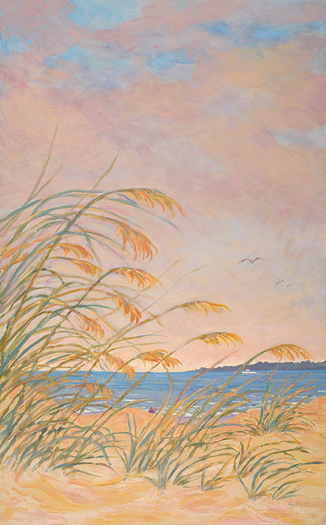 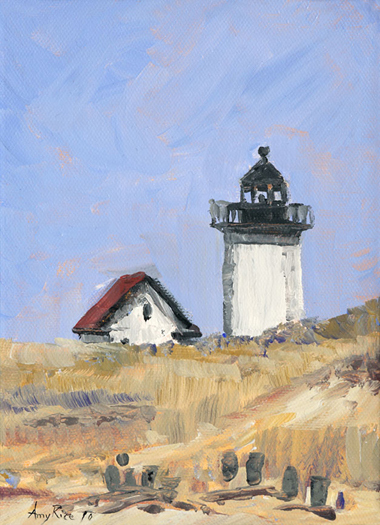 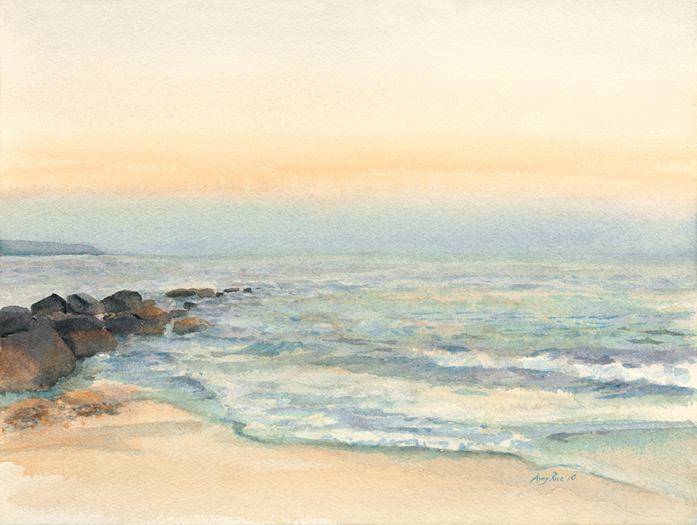 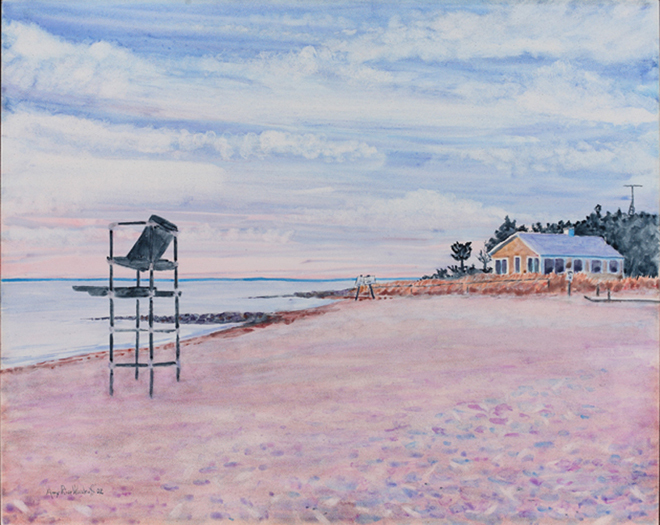 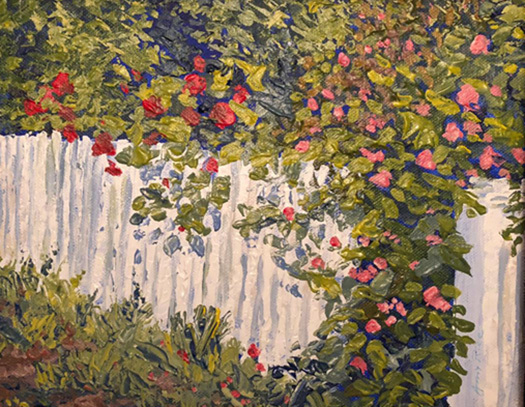 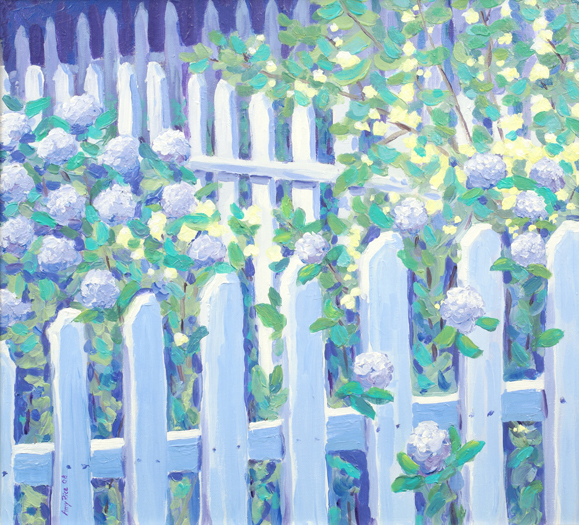 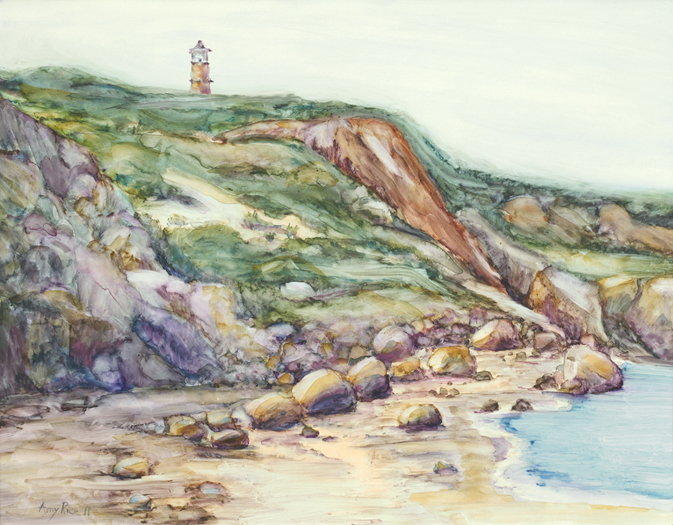 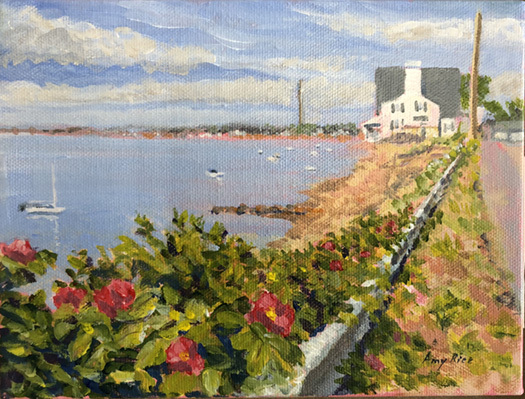 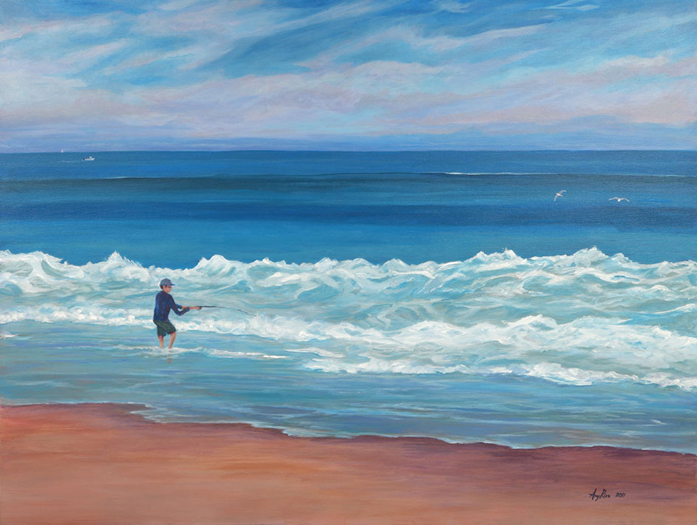 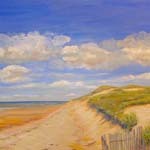 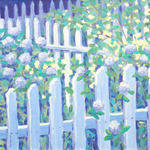 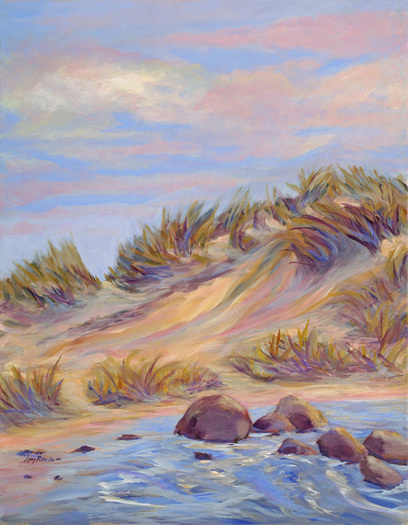 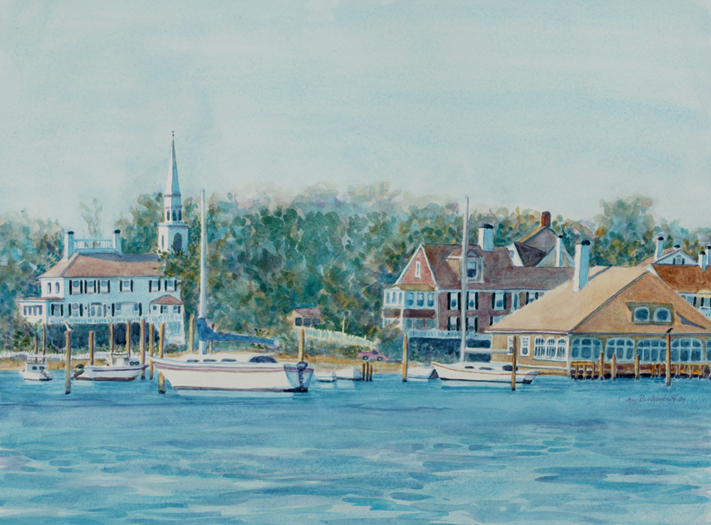 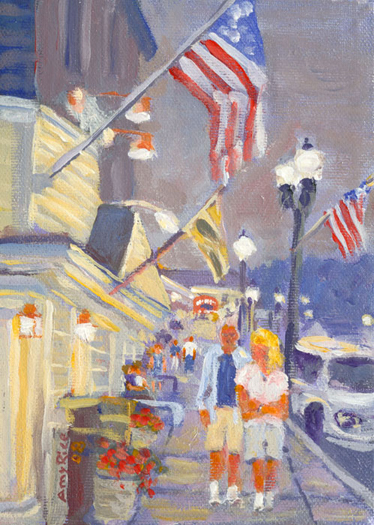 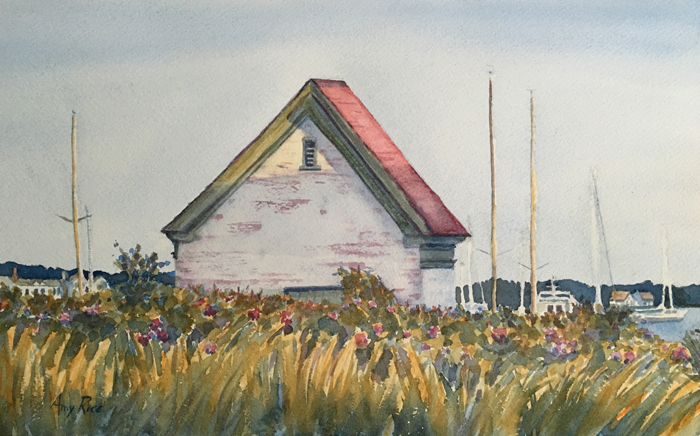 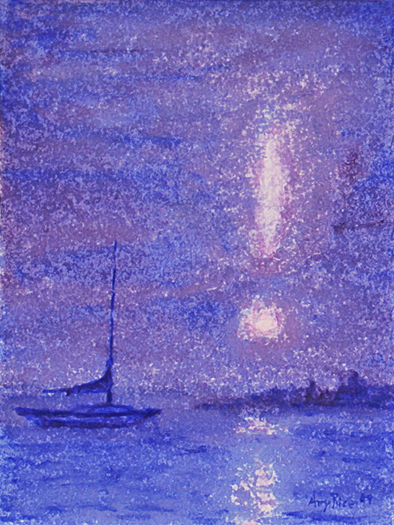 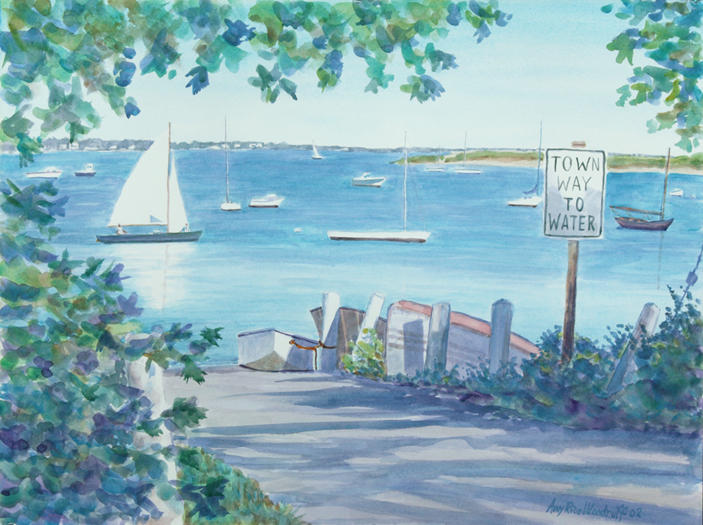 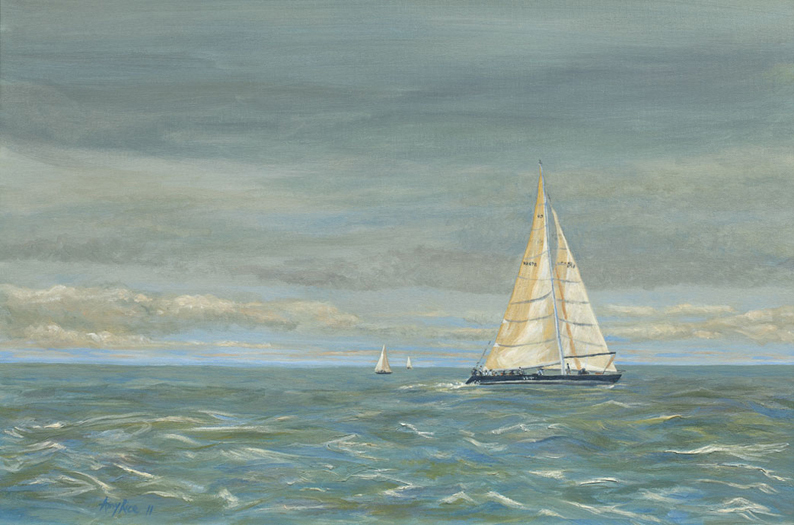 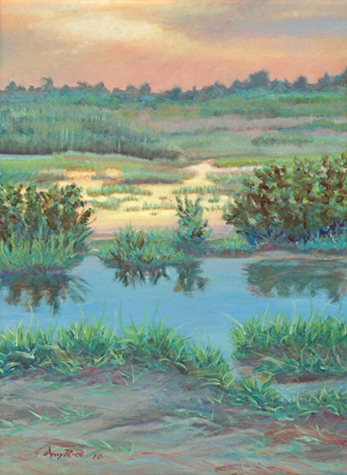 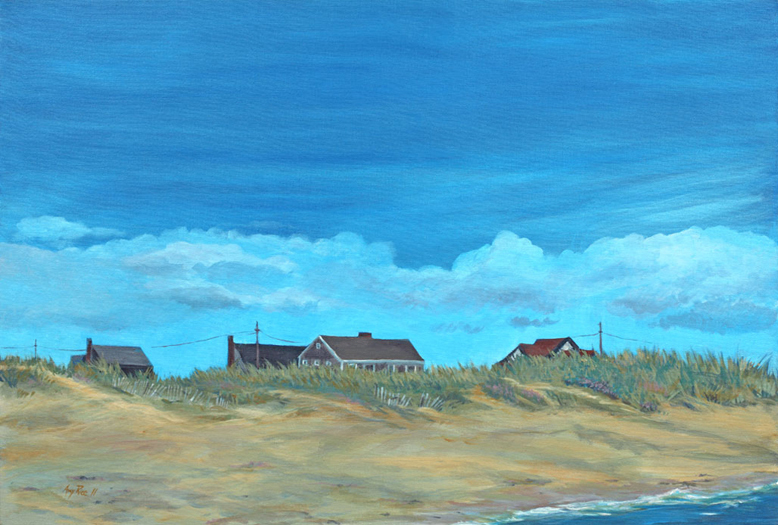 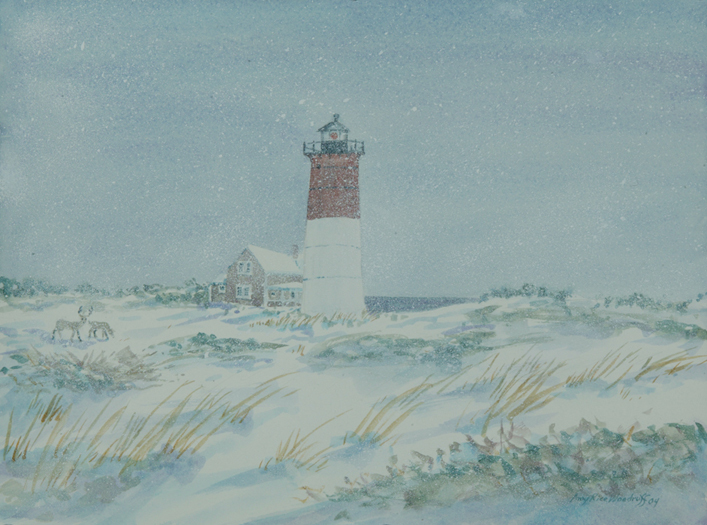 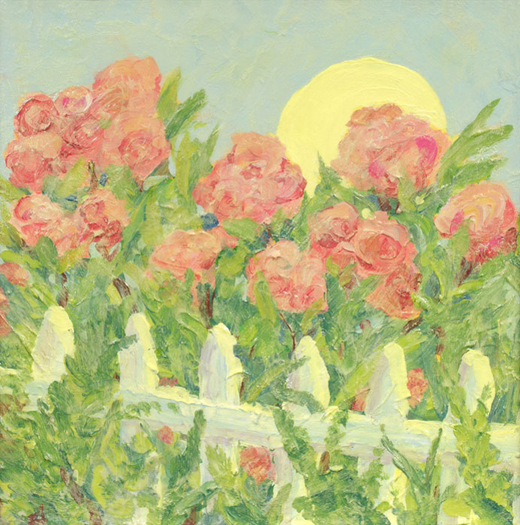 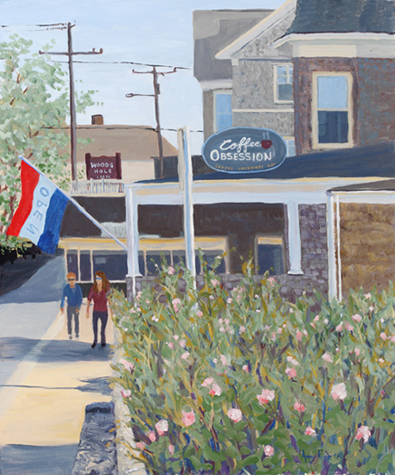 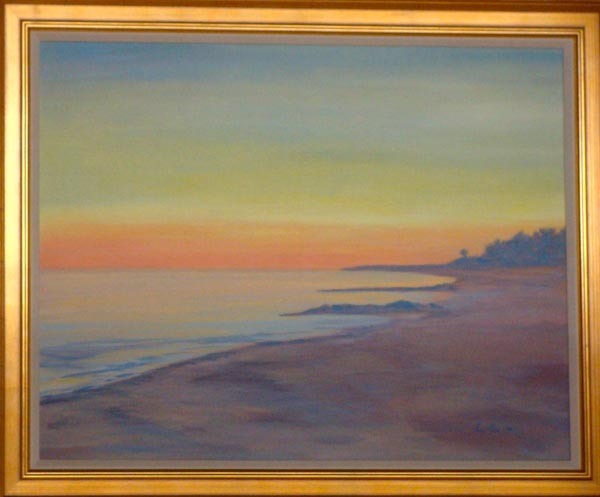 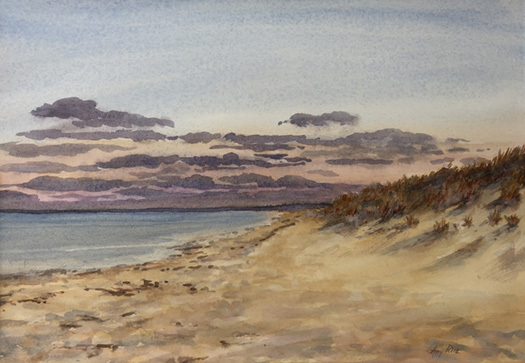 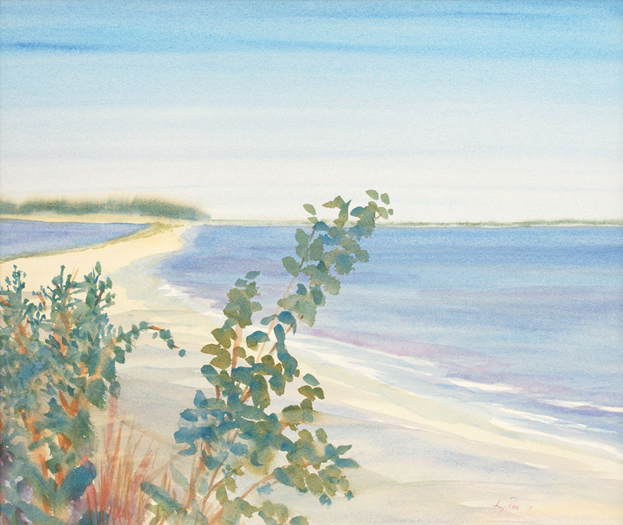 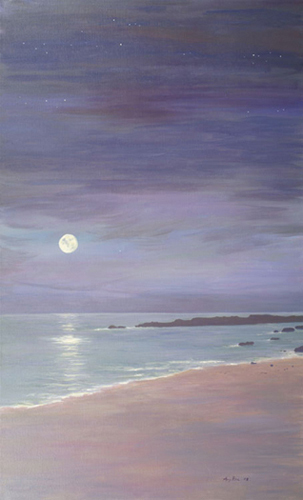 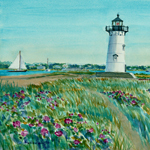 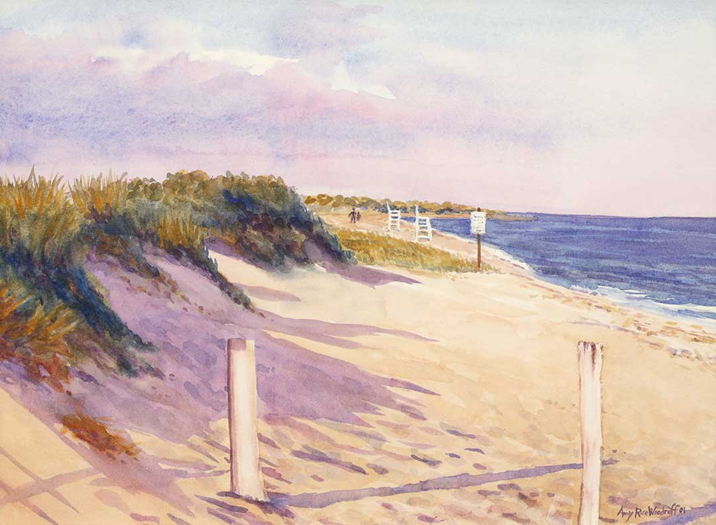 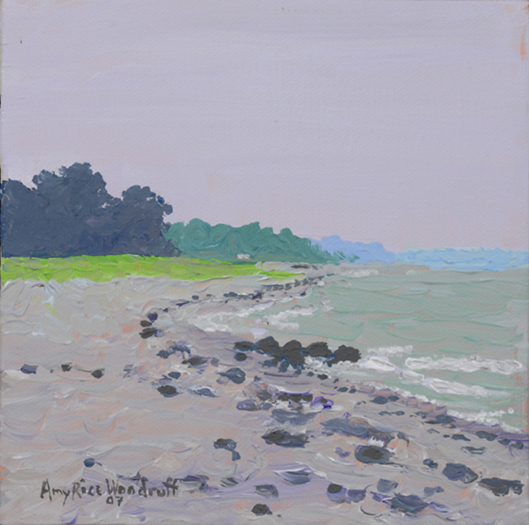 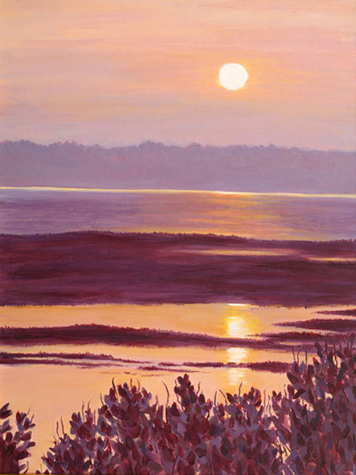 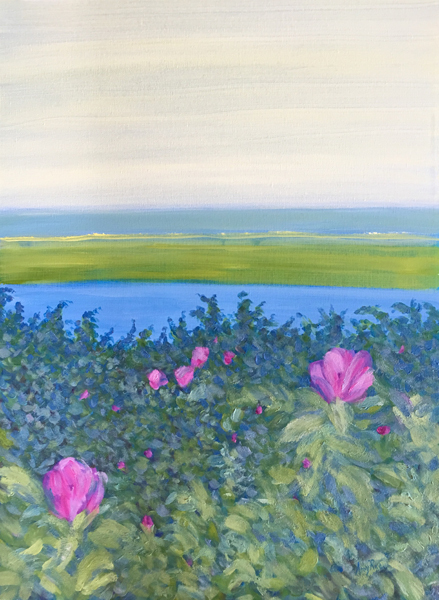 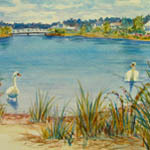 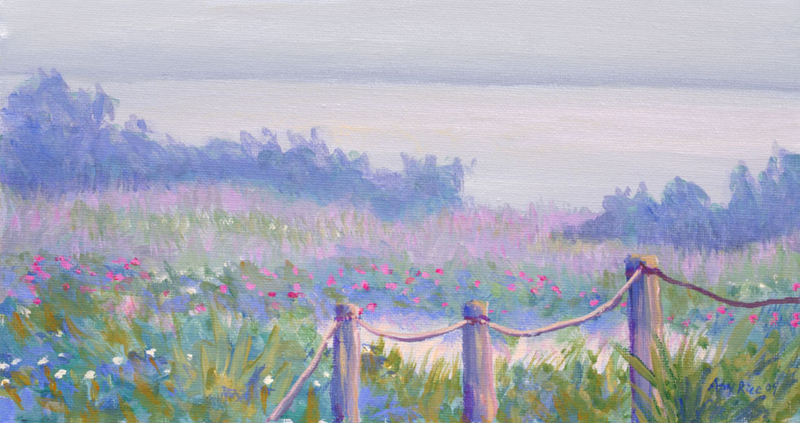 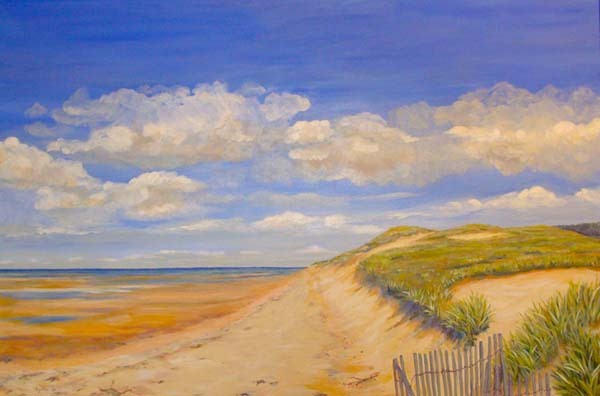 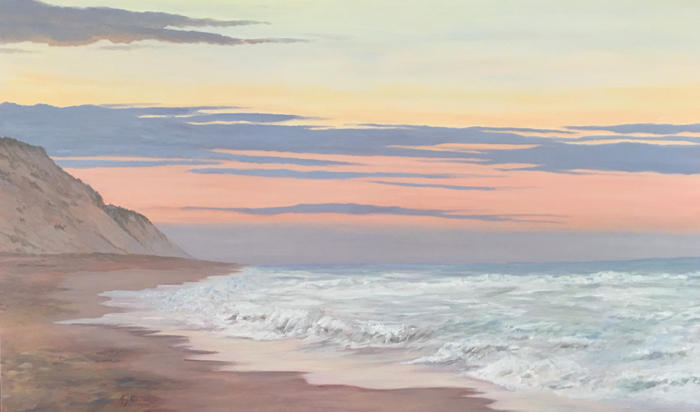 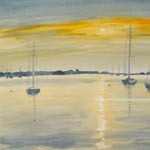 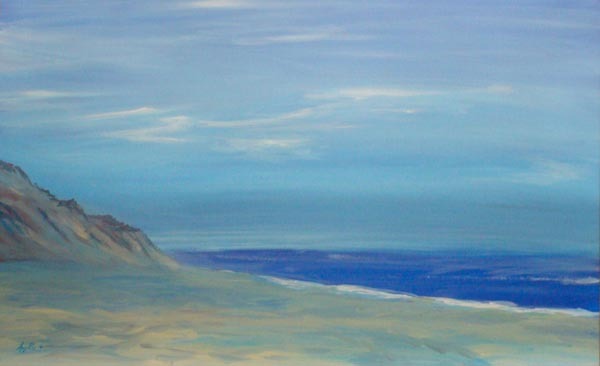 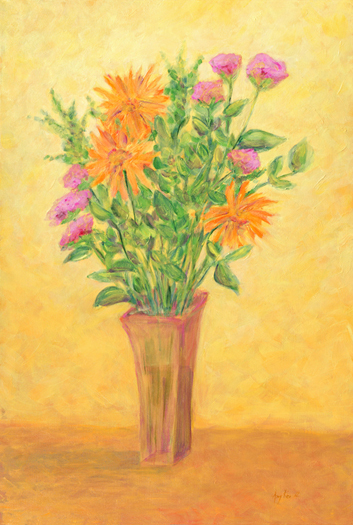 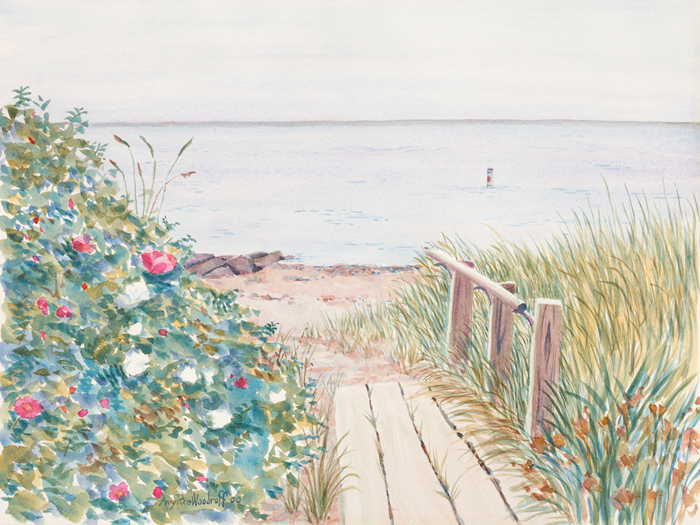 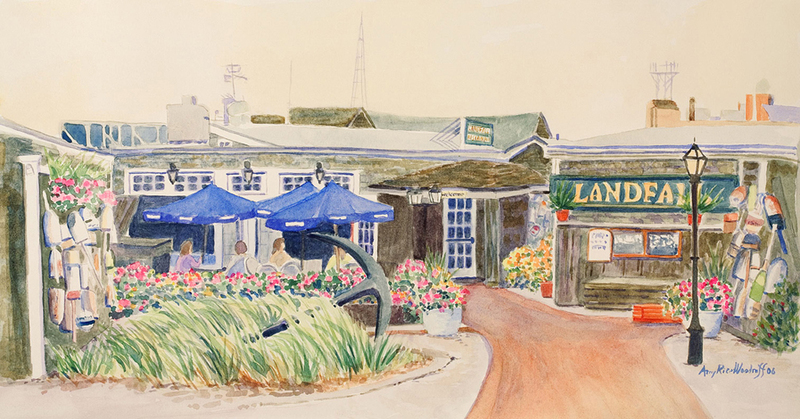 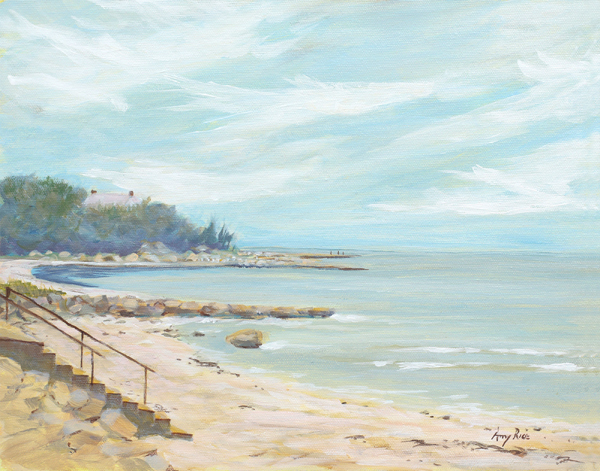 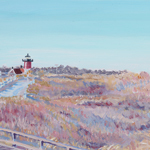 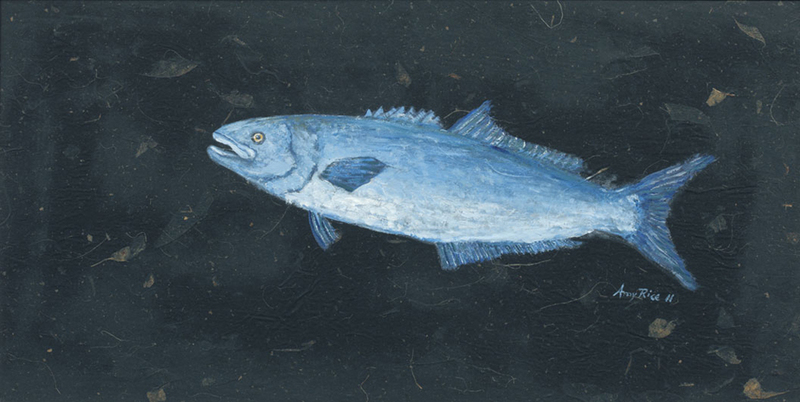 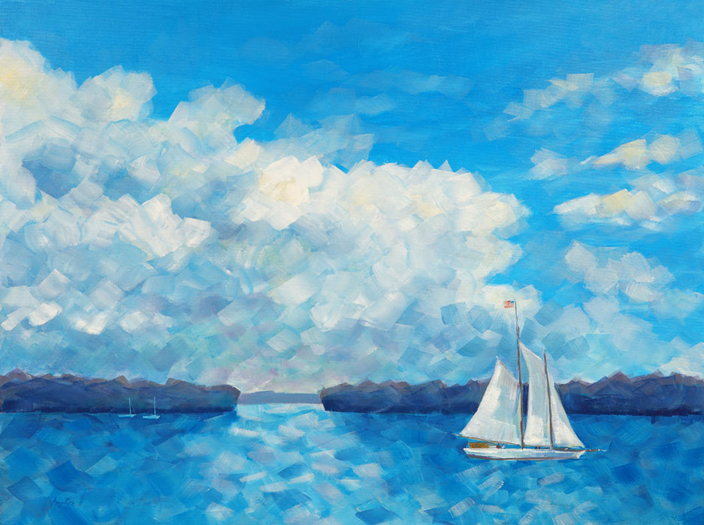 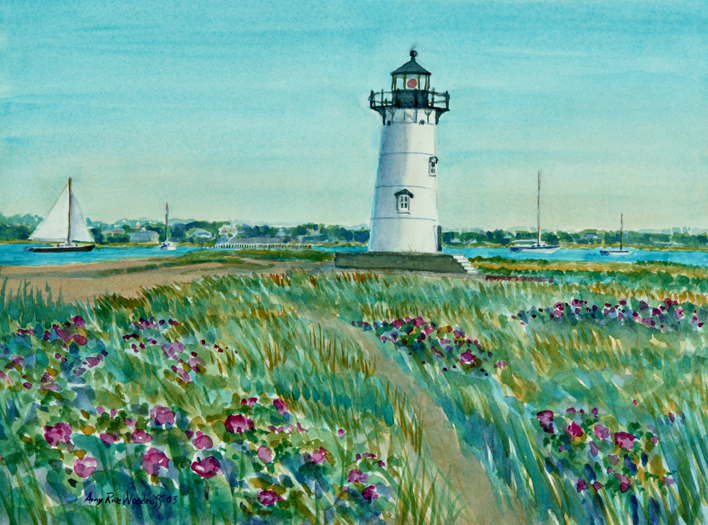 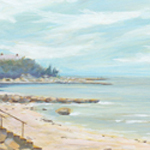 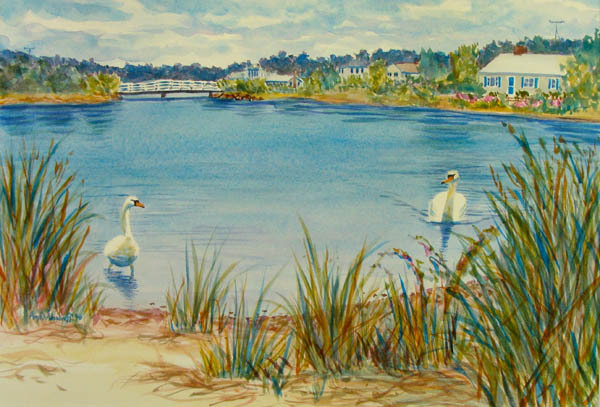 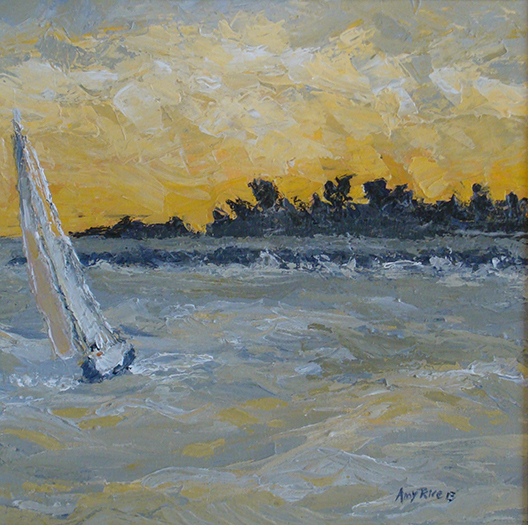 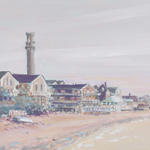 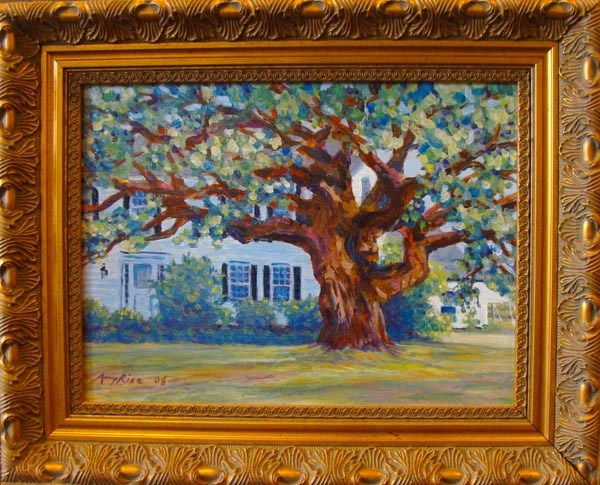 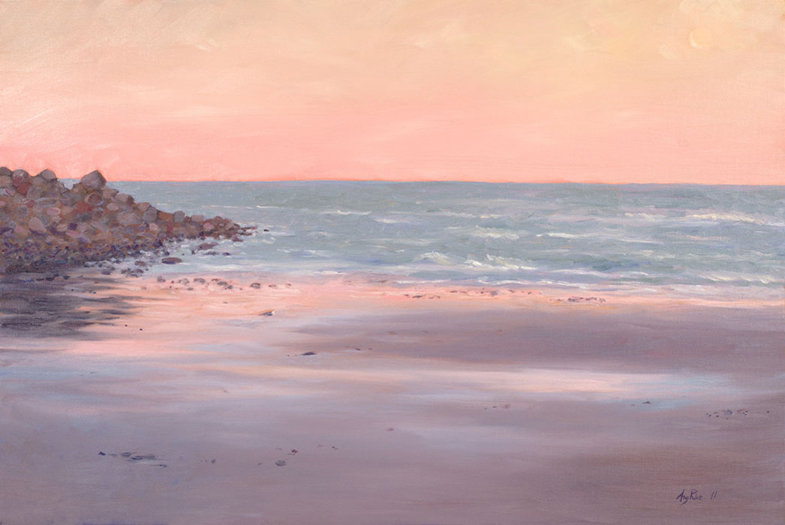 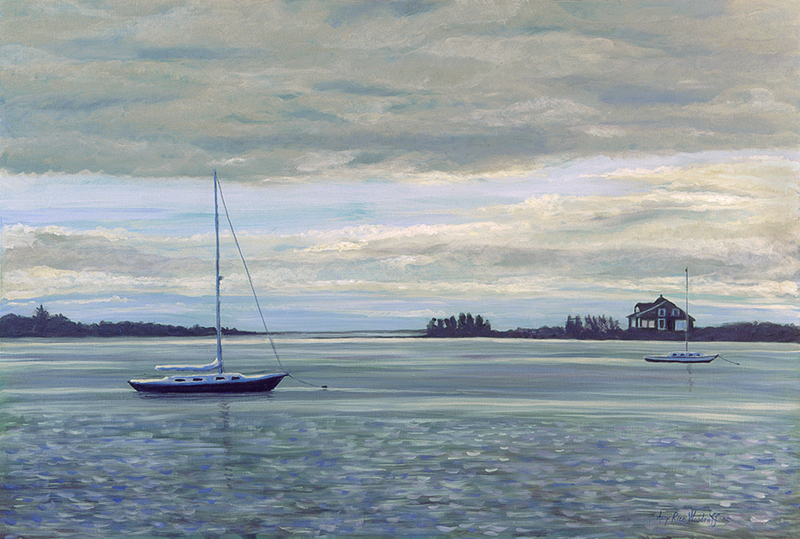 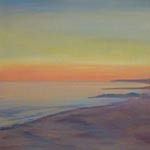 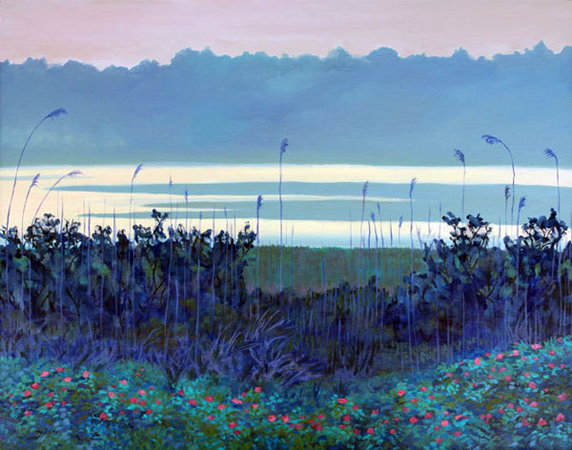 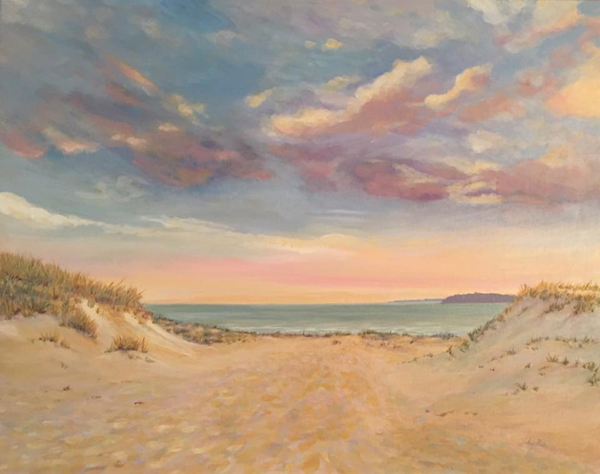 She was featured in Cape Cod Life magazine’s 2012 Annual Arts issue and is included in the book “Artists of Cotuit”, a publication of the Friends of the Cotuit Library. 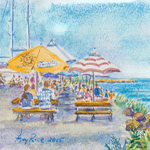 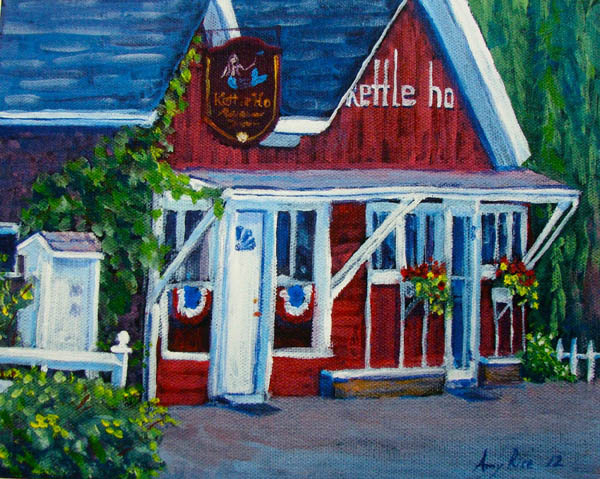 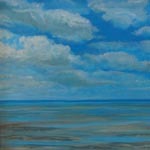 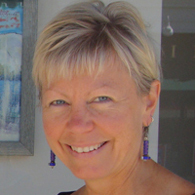 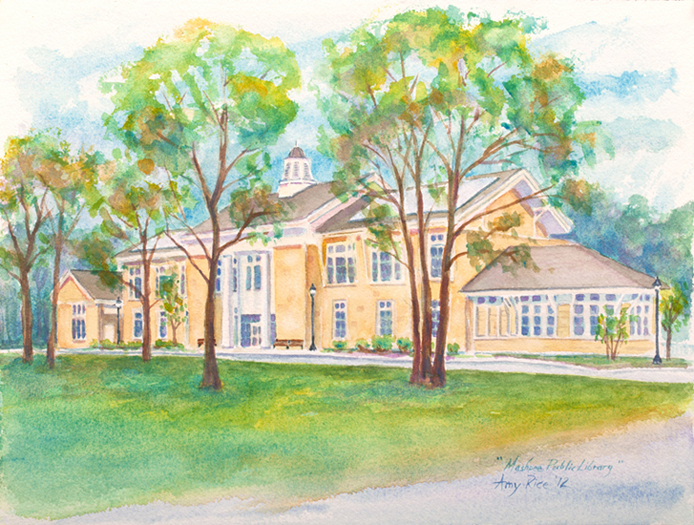 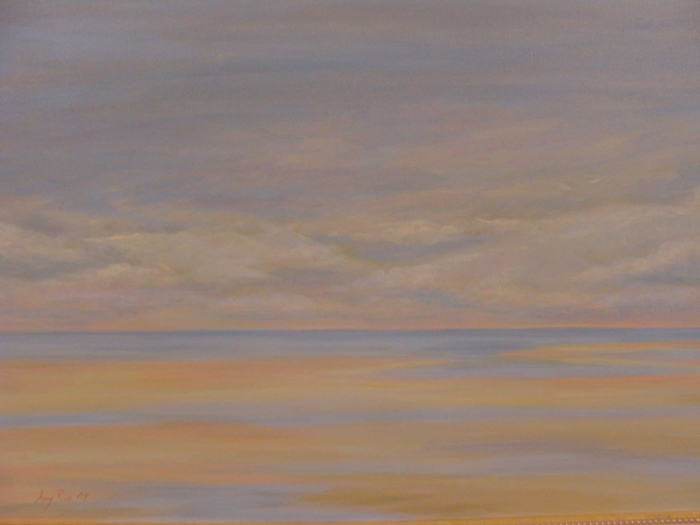 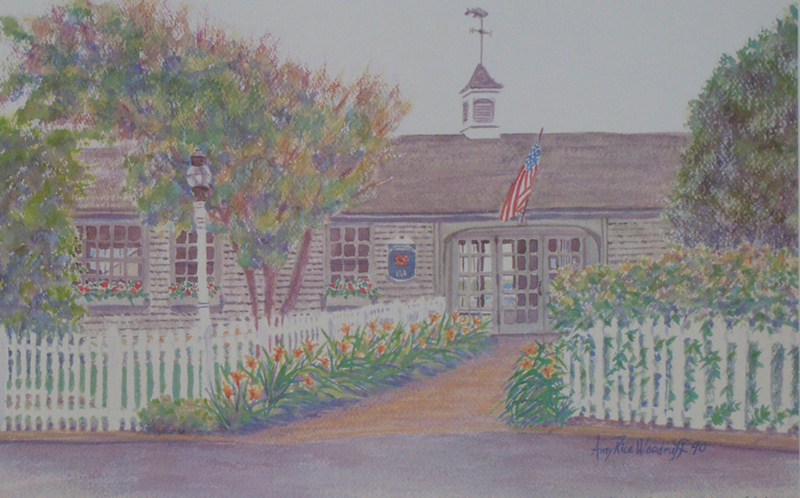 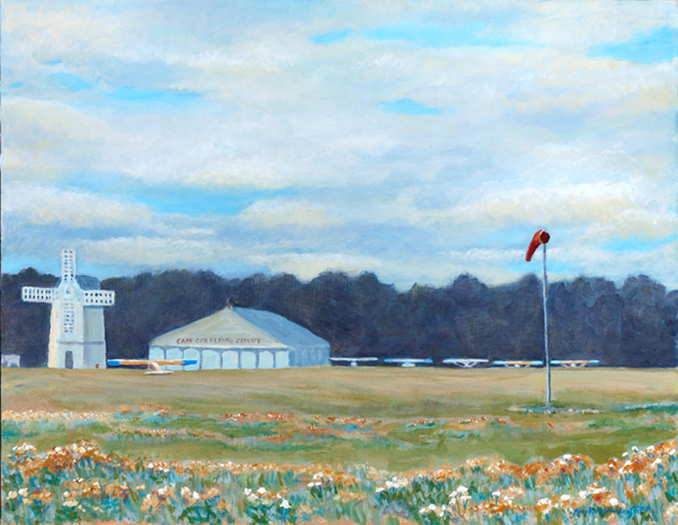 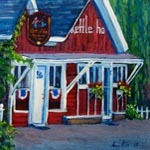 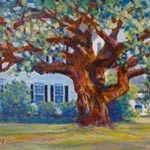 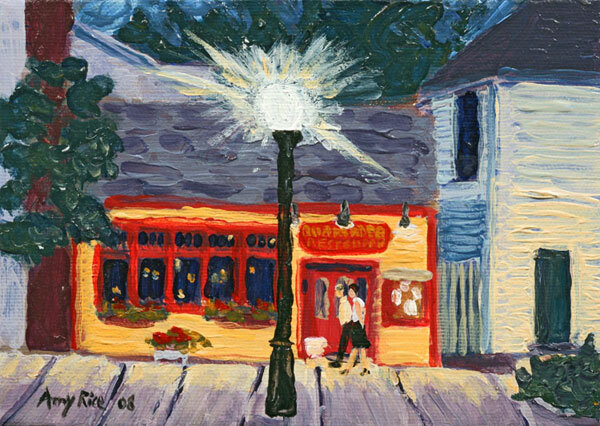 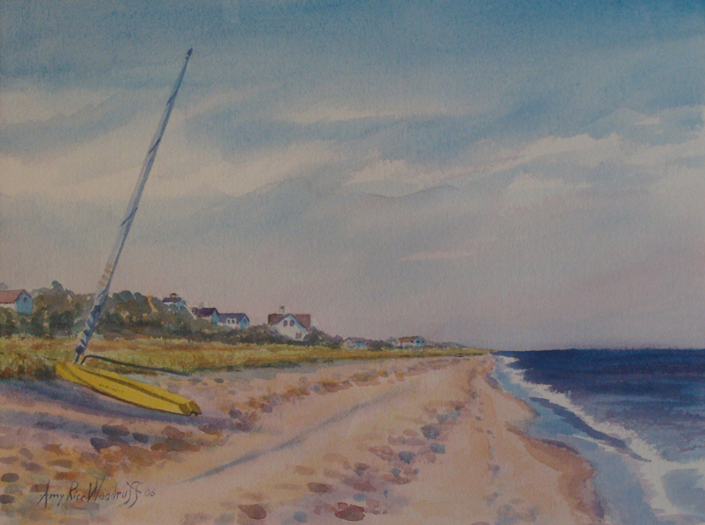 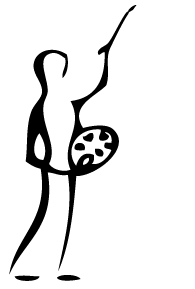 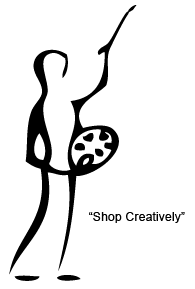 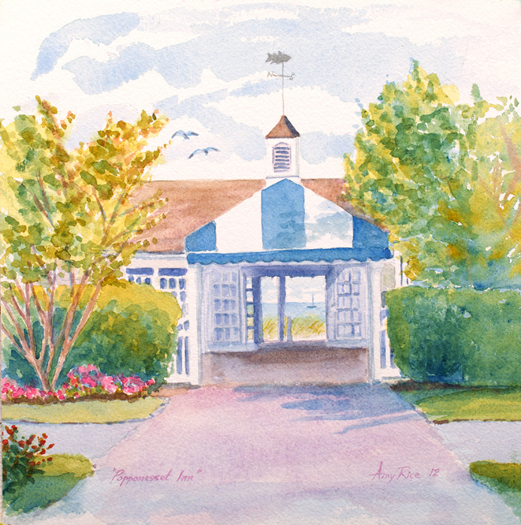 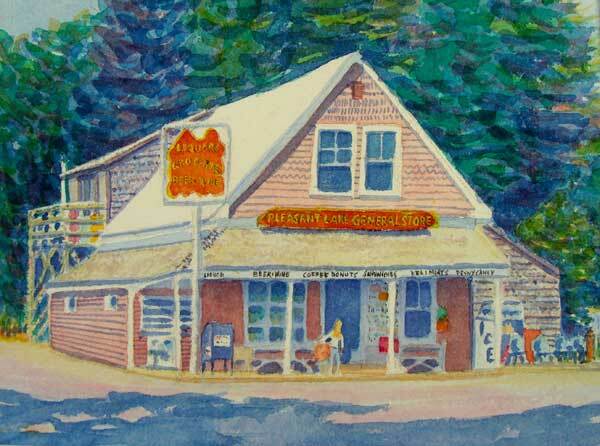 Amy is a year-round Cape Cod resident and owner of Woodruff’s Art Center in Mashpee Commons, Massachusetts.